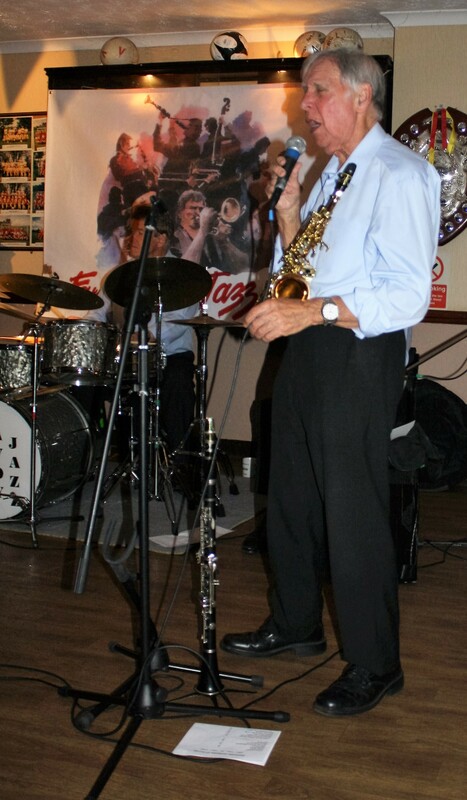 Oh happy day, we had the talented BARRY PALSER’S SUPER SIX back again at Farnborough Jazz Club, Kent on Friday, 15th July 2016. 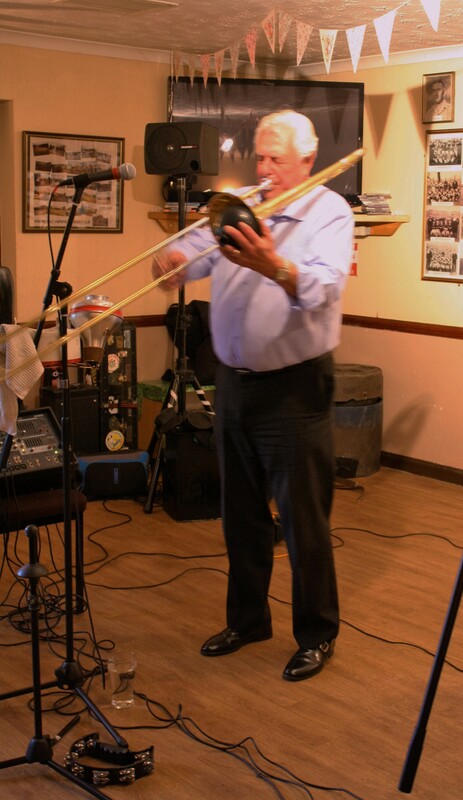 Band leader BARRY, who plays trombone &vocals, had GARY WOOD on trumpet (Gary was last here 4th March with Jonny Boston’s Hot Jazz), plus GOFF DUBBER on clarinet, TONY PITT on banjo, ANDY LAWRENCE on double bass and JOHN TYSON on drums. 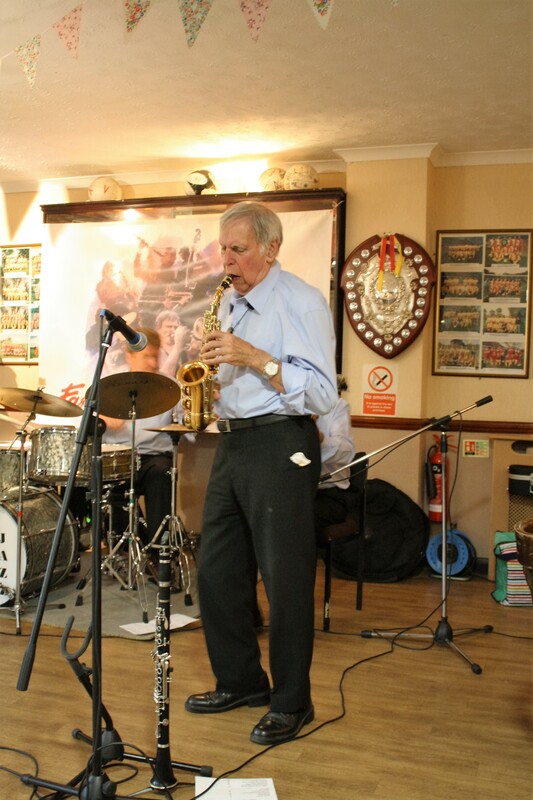 ‘Barry Palser’s Super Six’ play at Farnborough Jazz Club (Kent) on 15th July 2015. 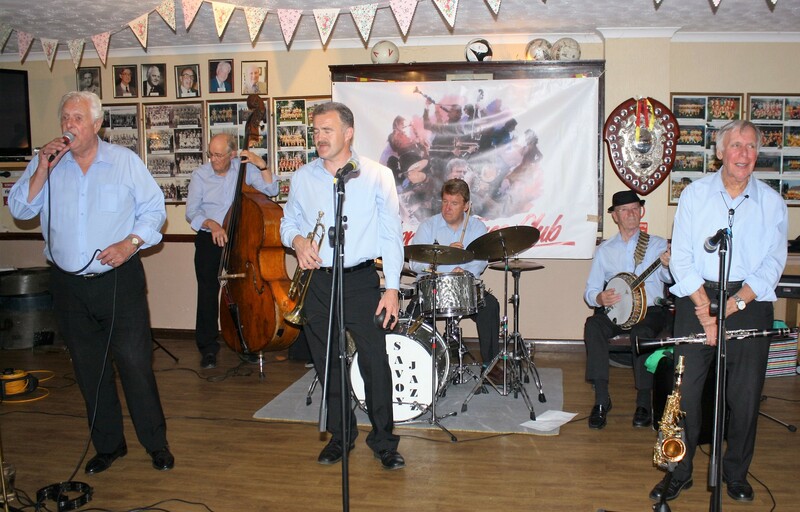 (LtoR) Barry Palser on trombone, Andy Lawrence on double bass, Gary Wood on trumpet, John Tyson on drums, Tony Pitt on drums and Goff Dubber on clarinet. Photo by Mike Witt. 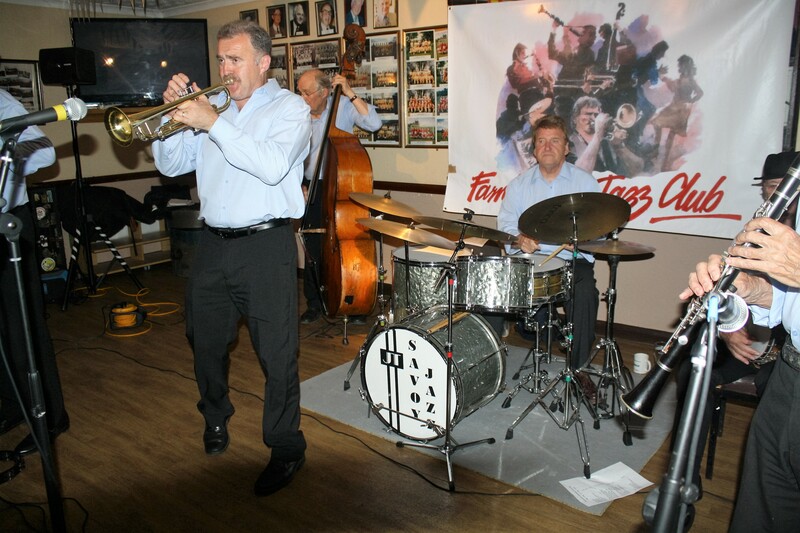 Band leader Barry Palser, playing trombone with his own band, the ‘Barry Palser’s Super Six’, here at Farnborough Jazz Club (Kent) on 15th July 2016. Photo by Mike Witt. Well, I’ll start the ball rolling with ‘It’s Only A Paper Moon’, because Barry played and sang it to Bridget (I think he might love her, don’t you think?). Then Barry dedicated their next number to someone he played with many years ago – Stan (who has gone now) and that tune was ‘Hindustan’. I wrote in my notes, ‘Rip Roaring and fab’ with lovely drumming from John and gave it three ticks, meaning brilliant! I also gave three ticks to the next number, ‘As Long As I Live’. The floor was packed with our line-dancing and just so much fun. Keith said this was one of his favourites, reminding him of his ‘Steering Wheel Club’ days in Chelsea, because he used to play it all the time there. 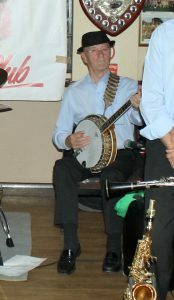 ‘Hello Dolly’ was sung next by Barry and was the number to bring on the dancers – also a packed floor. I must mention a lovely little family – Ann and Mike Witt’s family (our volunteer photographer), were visiting from Sidney, Australia. Their young granddaughter, Jos’, danced to the next number ‘Route 66’, (sung by Gary). 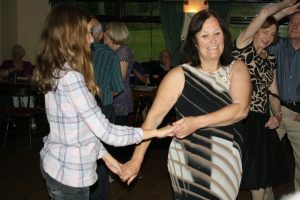 In fact she danced to several numbers with her Mum, Karen, (with Dad – Andy – looking on, proudly). What lovely dancers they are too. We have a wonderful picture of this, but it keeps loading up sideways (another Windows 10 quirk – I will work out what is wrong and add it at a later date). Jos takes over with the raffle draw, here at Farnborough Jazz Club (Kent) UK on 15th July 2016. The band – ‘Barry Palser’s Super Six’, Photo by (Granddad) Mike Witt. 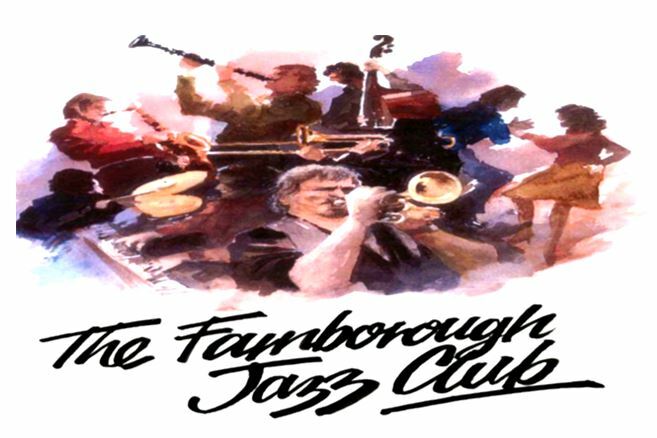 Lovely Jos, with Diane enjoy dancing here at Farnborough Jazz Club, (Kent) UK on 15th July 2016, with jazz band ‘Barry Palser’s Super Six’. Joc’ and her Mum, Dad & brother – Karen, Andy & Noah ) are here from Sidney, Australia, Photo by (Granddad) Mike Witt. 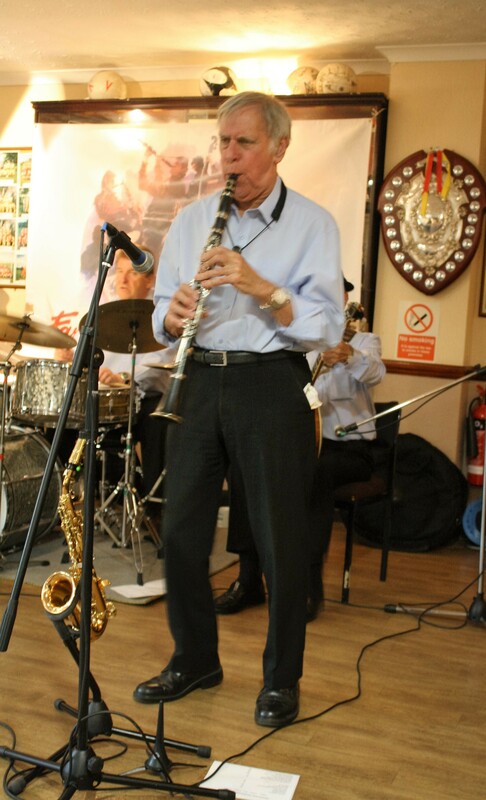 Goff Dubber (reed player) seen here singing, as one of ‘Barry Palser’s Super Six, here at the Farnborough Jazz Club (Kent) on 15th July 2016. Photo by Mike Witt. Then a ‘Jack Teagarden’ number ‘Music To Love By’ was a feature number for Goff, which he sang beautifully. 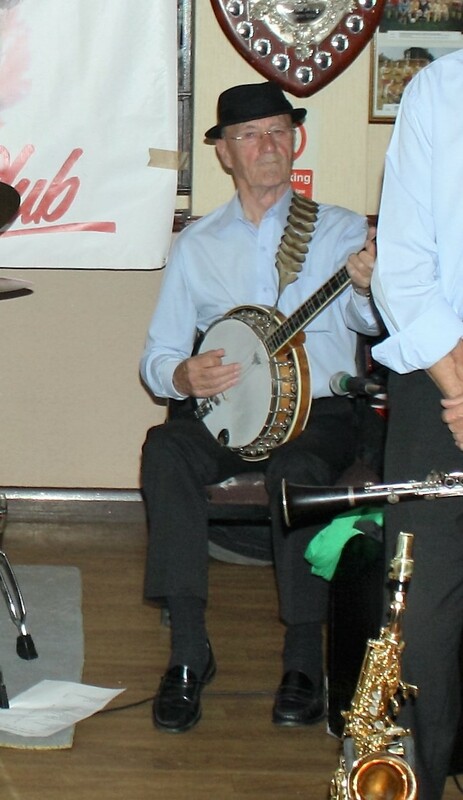 What lovely playing Goff – great banjo too Tony. Oh I have missed off some wonderful tunes (nearly giving their whole repertoire away!) However, I must mention Satchmo’s number, ‘Mac The Knife’, sung by Barry – what a number. 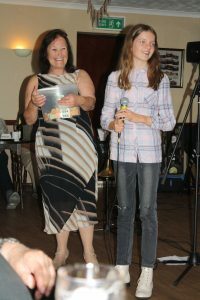 They all excelled, as they did with the next song, one of my favourite jazz numbers, ‘Christopher Columbus’, I could hear it played, time after time. Goff Dubber playing clarinet as one of ‘Barry Palser’s Super Six’, here at Farnborough Jazz Club (Kent) on 15th July 2016. Photo by Mike Witt. 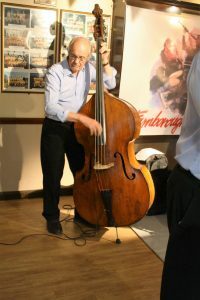 Andy Lawrence playing double bass as one of ‘Barry Palser’s Super Six, here at Farnborough Jazz Club (Kent) on 15th July 2016. Photo by Mike Witt. Tony Pitt, playing banjo as one of ‘Barry Palser’s Super Six, here at Farnborough Jazz Club (Kent) on 15th July 2016. Photo by Mike Witt. 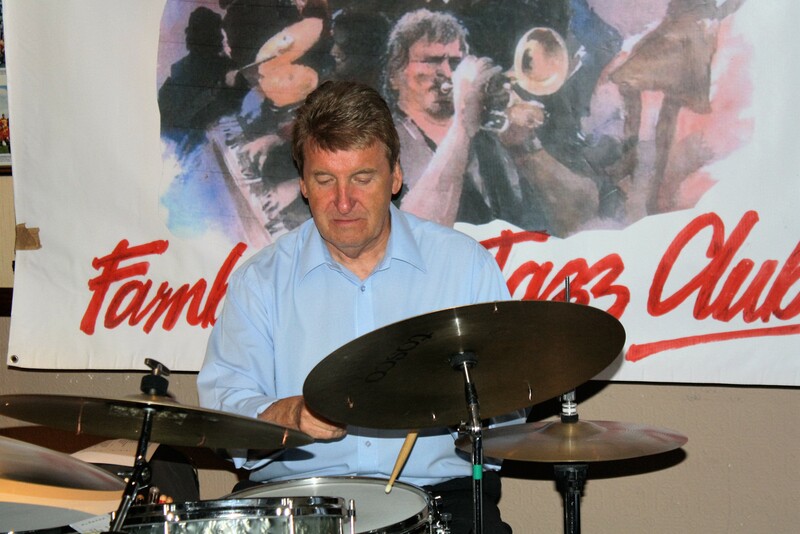 John Tyson playing drums, as one of ‘Barry Palser’s Super Six’, here at Farnborough Jazz Club (Kent) on 15th July 2016. Photo by Mike Witt. 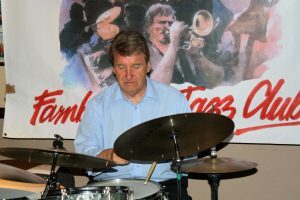 ‘Barry Palser’s Super Six’ playing at Farnborough Jazz Club (Kent) on 15th July 2016. 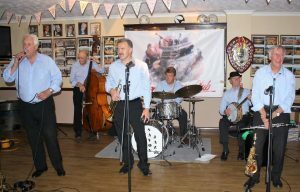 (LtoR) Gary Wood (trumpet), Andy Lawrence (double bass), John Tyson (drums) and just out of view -Tony Pitt (banjo), Goff Dubber (clarinet) and Barry Palser (trombone). Photo by Mike Witt. Then came a feature tune for Gary. The number being ‘Fly Me To The Moon’. Wow Gary, marvellous – say no more! Now although there was another brilliant number in between, I’ll go to their last number ‘When The Saints Go Marching In’ and as you can guess, it was a brilliant one to end the evening. Everyone took a time leaving the club, as they were all ‘buzzing’ (still on a high). Thank you ‘Super Six’, lovely stuff. You ARE what keeps Jazz ‘Live’! Your hosts, Diane & Keith. P.S. Good news, our land-line is now working. This entry was posted in Barry Palser's Super Six on July 17, 2016 by Diane.